Here at Texas Final Drive, we often seen first-hand what poor maintenance can do to an otherwise good hydraulic final drive motor. In this blog post, we are going to review the WHAT, WHEN, and HOW of good final drive maintenance. There are certain key final drive maintenance tasks that are vital to reliable operation of your final drive motor. Some things may vary a little bit depending on whether you are maintaining a final drive on an excavator or a maintaining a travel motor on a CTL, but there are rather common tasks. 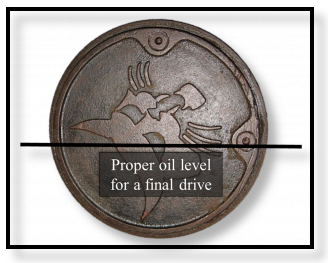 If you want to extend the life of your final drive as long as possible (and who doesn't? ), then pay close attention to this section. We cannot emphasize enough how important it is that these maintenance tasks be performed regularly, according to manufacturer guidelines. Let's talk about some of these in more detail. Leaks are a common problem with final drive motors and are typically the result of a failed seal. Leaks can be particularly devastating for a final drive motor for two reasons: the final drive components lose the lubrication they need to run correctly, and abrasive contaminants can make their way in and quickly destroy a final drive. That's why we emphasize checking for leaks as a part of regular maintenance and even have a post that talks about nothing final drive leaks. Checking and changing final drive gear oil is of vital importance when it comes to the productivity and proper operation of your final drive motor. Gear oil levels should be checked about once every 100 hundred hours or once a month. Gear oil in a final drive should be changed about once a year. Clogged case drain filters cause major problems for final drive motors. Not all motors require case drain filters, but some, like the popular line of Bobcat T-Series machines, need these case drain filters to ensure proper final drive motor function. The case drain filter is a relatively small filter located in an aluminum canister inline with the low-pressure case drain. When clean, it is gold or bronze in color. It needs to be checked / changed whenever you change out the other filters on your machine, and any time you change our your whole motors. 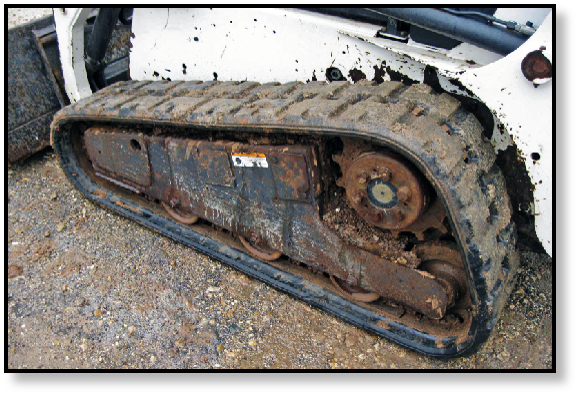 It is not unusual for Bobcat final drives to require a special type of lubricant for the main bearing. Bearing oil needs to be checked / changed about every 500 hours. There are drainage holes on the final drive motor hub where the oil is drained and added, though they may be a bit challenging to find if the final drive is dirty. Keeping the undercarriage clean is another aspect of final drive maintenance. When the undercarriage gets packed tightly with debris, that debris can loosen the main seal and allow the final drive to start leaking. That, in turn, can let key fluids leak out and allow damaging contaminants inside. Don't forget undercarriage maintenance! Hydraulic fluid should be changed out about every 3,000 to 4,000 hours or per manufacturer instructions. While this deals more with the hydraulic system as a whole, it will also impact hydraulic motor / final drive performance. 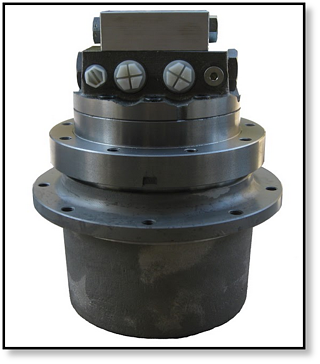 Contamination in the system, including chemical degradation of the hydraulic oil, can quickly become contamination in the final drive motor. 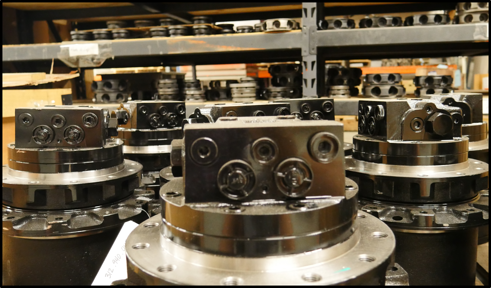 If you are maintaining final drive motors for a fleet of machines, issues such as careful sourcing of components, close attention to warranties, and lubrication are extremely important. Fleet owners also need to thoroughly understand hydraulic motor issues such as contamination, case drain filters, and seals. Similar maintenance issues are faced by rental yards. Sometimes there may be some additional maintenance tasks for winter that will affect your final drive motor. The most important thing to remember is preventative maintenance for final drives is a much better approach than reactive maintenance. Maintenance should be done before final drive problems occur -- contrary to what you may think, preventative maintenance will save you a significant amount of time and money in the long run. If the gears and bearings in your planetary system are already shot, changing out the gear oil is not going to help them. It might keep your final drive running another day or two but that is just going to cause even more damage. You need to take action before problems start. If you start performing regular maintenance, you'll be surprised the change in how it runs and how long it is between breakdowns. There are best practices to final drive maintenance that everyone should follow, which we will just finished covering in the previous section. A good start to maintenance is to develop your own final drive maintenance plan that includes the what and when for your equipment. If you're wondering how often you should do maintenance, we will always recommend that you check your OEM handbook. In there, you will find out how often you should check on various items within your machine, including its final drives! The recommendations were developed by the engineers and technicians that designed your machine. Some people may think that the guidelines are just there to sell filters and lubricants, but they were actually developed so that your machine (and final drives) will operate at their peak efficiency. How Should I Do Maintenance? As to some tips for how to perform final drive maintenance, here is a practical video from our own Dr Drive with some very down to earth guidelines and ideas to help you keep your hydraulic motor running. How you should perform maintenance is really up to you, but check out YouTube for all sorts of demonstrations. Also check to see if the manufacturer of your machine has videos online to help you care for machine -- many companies like Bobcat and CAT do have instructional videos. If you don't feel confident in your own ability to perform maintenance, take your machine to your local hydraulics shop. They will likely have experts who have both the equipment and the knowledge to perform the necessary maintenance tasks. Your final drive literally keeps your machine rolling and represents a significant financial investment. Make sure that you take good care of it and it will perform well for you. Preventative maintenance that includes basic tasks dealing with lubrication, filters, leaks, and keeping the area around the final drive free from packed debris will go far in extending the useful life of your final drive motor.